← Japan, China Offer America Critical Investments: New U.S. Economic Policy Needed Immediately! 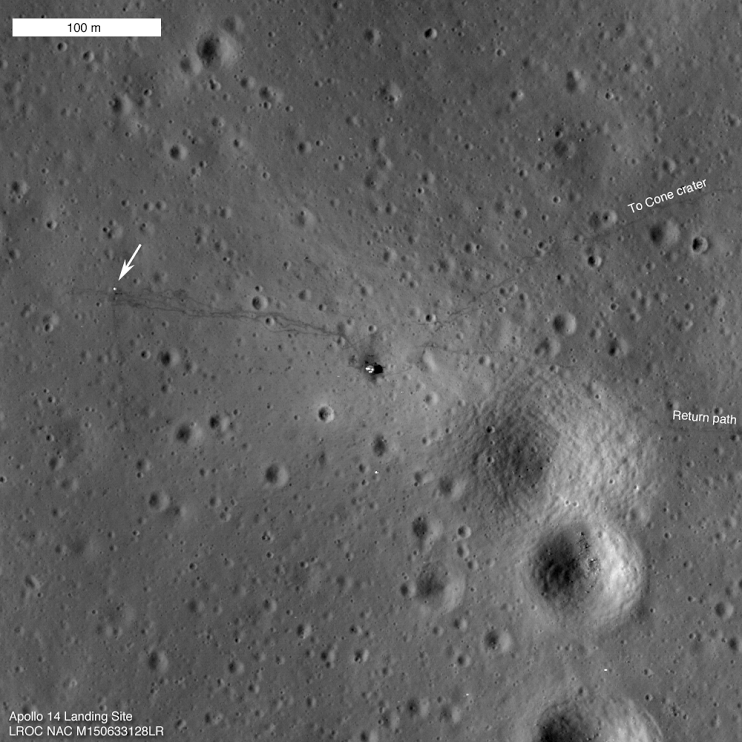 February 5th marked the 46th anniversary of the Apollo 14 landing on the Moon. This landing was made possible by the opening of the first decade of human space exploration for the United States with the first American in Space, Alan Shepard. Shepard would begin and end that decade of America’s voyage into space. On May 5, 1961, Shepard was the first of the Mercury 7 astronauts to travel into space, aboard the Freedom 7 space Mercury spacecraft. 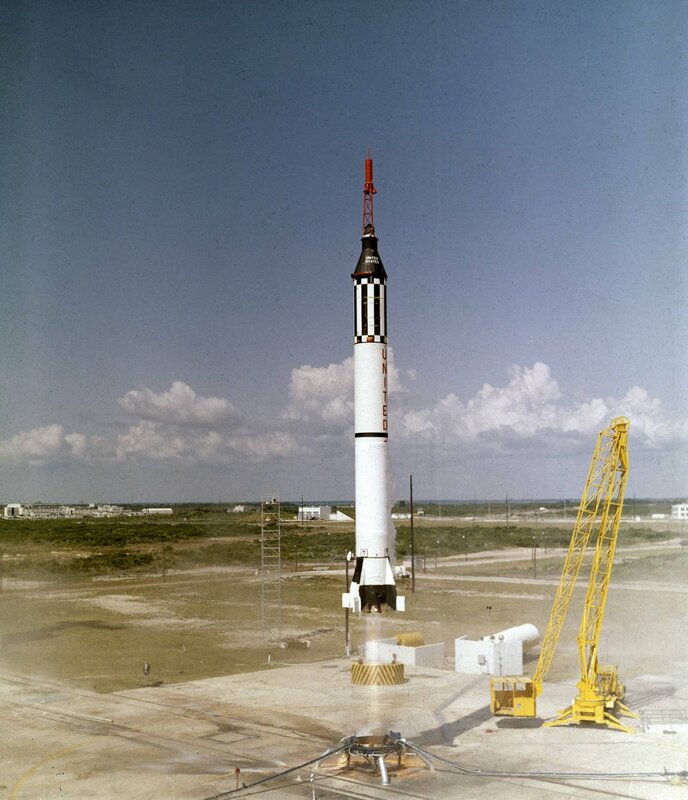 Shepard led the United States in its first small step on the journey to the Moon, riding the Mercury capsule lifted by the Redstone rocket’s 78,000 pounds of thrust. 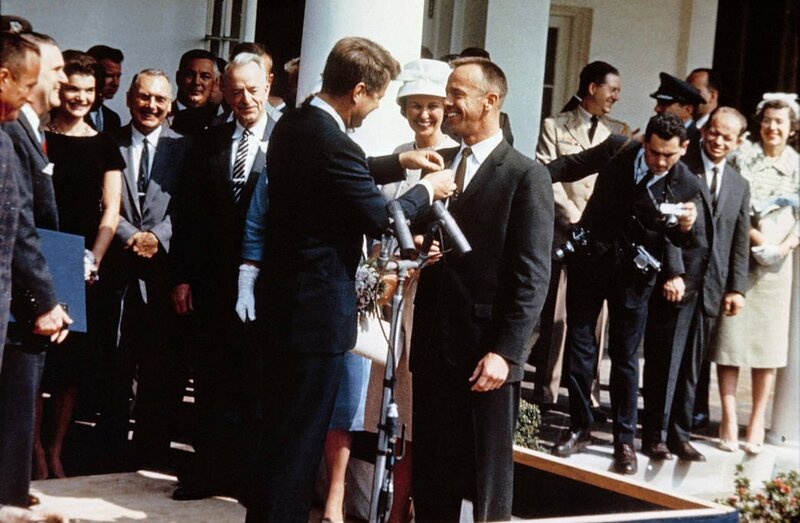 On May 8, 1961 President John F. Kennedy presented Alan Shepard with the National Aeronautics and Space Administration Distinguished Service Medal. “Just his flight as the first United States astronaut was an outstanding contribution to the advancement of human knowledge of space technology, and a demonstration of man’s capabilities in sub-orbital space flight.” It was Alan Shepard who opened the door to America embarking on a new frontier for all mankind. On May 25, 1961, only 20 days after successful flight of the first American in space, President Kennedy laid out a robust mission and goal before a joint session of Congress of “landing a man on the moon and returning him safely to Earth,” before the end of the decade. On July 20, 1969, that goal was met. It was only two years after the Apollo 11 moon landing and ten years after Alan Shepard’s first launch into space, that he was closing out that decade—this time on the Apollo 14 mission, aboard the Saturn V rocket, with a thrust of more than 7.5 million pounds. This was the first time Shepard would be allowed to fly following his first flight due to medical problems with his inner ear, which were later overcome by surgery. Alan Shepard was the oldest among his crew, returning to space at the age of 47. Apollo 14 was the eighth manned mission in the Apollo program and the third mission to land on the Moon, touching down on February 5, 1971. The crew was Commander Alan B. Shepard, Jr., Stuart A. Roosa (Command Module Pilot) and Edgar D. Mitchell (Lunar Module Pilot). During their 33.5 hours on the Moon, the Apollo 14 crew performed two extravehicular activities (EVAs) totaling over 9 hours on the lunar surface. These EVAs covered a total traverse distance of 3.5 kilometers and involved collecting at 13 locations, deploying or performing 10 experiments, and examining and photographing the lunar surface.The Apollo 14 landing site was in the Fra Mauro formation, which is material ejected by the impact that produced the Imbrium Basin. During this mission nearly 100 pounds of moon rocks were collected, and several scientific experiments were performed. The achievements of this decade in space exploration were met with great obstacles, and were followed by the rise of successive decades of war, cultural degeneracy, and radical environmentalism, promoting the idea that there are limits to growth. The greatest pioneers of our space program and the exploration of space realized that the constant drumbeat against progress, and against space exploration in general, was the greatest threat to the achievements of fulfilling the extraterrestrial imperative of mankind. Five years before Alan Shepard’s successful suborbital flight into space, space pioneer and engineer, Krafft Ehricke laid out what he defined as his three laws of astronautics. Krafft Ehricke did not just see space exploration as a technical feat, but one which developed the philosophy of the creative advancement of man to explore the universe and conquer new frontiers, removing any limitation to human progress. Not only the Earth, but the entire Solar System, and as much of the Universe and he can reach under the laws of nature, are man’s rightful field of activity. By expanding through the universe, man fulfills his destiny as an element of life endowed with the power of reason and the wisdom of the moral law within himself. Later he further developed his vision for lunar development and requirements for the industrialization of the Moon and space, including the development of nuclear and other advanced technologies. Ehricke declared that the Earth would never again be a “closed world system,” confined to limited growth and resources. In 2017, 46 years after the Apollo 14 Moon landing, and 56 years after the first American in space, the world is now moving to fulfill the extraterrestrial imperative of mankind, by stretching the limits and expanding through the universe. Many nations now recognize, as Krafft Ehricke and other great pioneers did, that industrialization of space and the development of the Moon is our gateway to the universe, the solar system, and beyond. The United States has now been presented with a great moment of opportunity and potential that must not be missed. In the United States, the biggest asset to President Trump’s outlook of “making America great again” starts with a vision for a renewed mission and cooperation in the development of space, removing all limits to growth, through a unified national and international mission, driven by advanced economic and scientific progress for all mankind. This is understood today emphatically by the role of leadership taken by China in space exploration, expressed by a vision to soon be carried out with the landing of the Chang’e-4 mission on the Moon’s far side, which no nation has yet to carry out. This opens the door to further cooperation and development in establishing a permanent lunar presence, thus opening up a new platform for the progress and development of mankind. The achievement of an advanced platform in nuclear fusion, as presented in the principles of Lyndon LaRouche’s “Four Laws” will present decisive defeat to the limits to growth agenda, and bring in a new era of unlimited growth for all mankind. This entry was posted in LPAC, Space Exploration and tagged Common Aims of Mankind, human creativity, human progress, lunar landing, Moon-Mars Mission, NASA, science driver, scientific discovery, Solar System. Bookmark the permalink.